If you’re like me, trying to live a life of faith in God through Jesus, there will be seasons of great contradictions. Living a life of faith is simply living a life that is directed and influenced by the Words of a living God, captured in scripture. Living a life of faith is choosing to live with expectations set by believing in the promises of God. 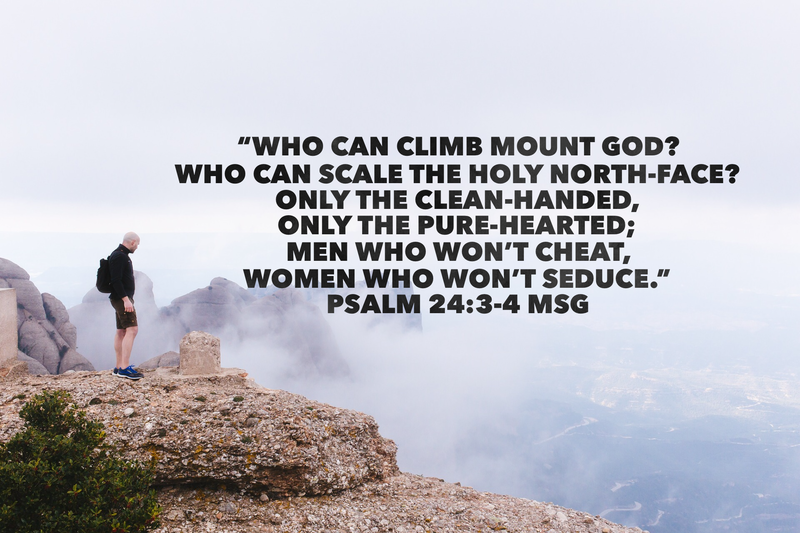 The contradictions set in when you bump into situations that are directly at odds with the promises of God. When you expected help that never seems to be there. When you expected that they would fall on their knees asking what must I do to be saved after you shared the gospel with them as the Spirit of God led you to do. But all you got was a weird look. When you expected provision that is still pending. I have learnt that these are the times when the quality of your faith is tested. I have learnt to fall back on the covenant. Psalm 89:34 says that God will not alter His Word or break His covenant. The Words of a God, His promises and instructions are backed up by the covenant. Even though God’s Word is good, on the basis of His integrity as a person, the covenant makes the promise legally binding. It’s one thing for a nice, trustworthy friend to give you a promise. It’s another thing for them to go through the effort to go to court, write up papers and sign an affidavit to make that promise legally binding. That’s what God has done. He gave His promise. Even though it is good enough, He legalises His promise by sending His son to die on the cross. Hebrews 6:18 tells us that this is God’s attempt to let you know how serious He is about His promise. I have learnt that the promise is given to set your expectation. 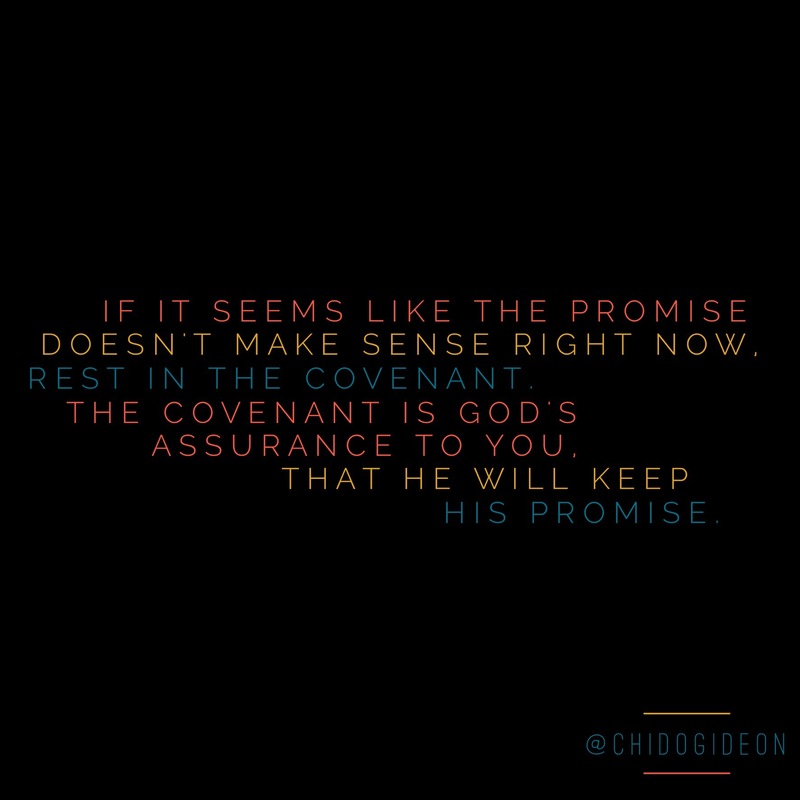 And the covenant is given to help us keep our expectation set when the promise doesn’t seem to make sense. I have learnt to fall back on the covenant, particularly in seasons of great contradictions. Practically this means I am not afraid to be without an explanation for the contradictions, because I believe that the covenant ties God to me permanently, and if I keep walking conscious of His presence with me, in time, the pieces of the puzzle will fit. Hebrews 6:11-12 And we desire that each one of you show the same diligence to the full assurance of hope until the end, that you do not become sluggish, but imitate those who through faith and patience inherit the promises. Don’t quit or abandon the promise of God simply because it doesn’t add up right now and you’re looking like a mug right now. God has legally bound Himself to fulfill no His promise. Keep the faith. Be patient. You will inherit the promise. God has called every one of his children to lead and to make a difference, but that difference is only made when we choose to apply ourselves to His purpose. Leadership is responsibility. We become children of God by the grace of God. However, we walk as sons by virtue of the responsibility we assume within the confines of His grace. Let me explain this like this…I have an excellent father…and when I was growing up, he had a car. Now from the moment I was born, by virtue of the favour that my father had on me because I was His son, I had the privilege of being taken to school in that car…I had the privilege of being picked up from school in that car. But I didn’t have the privilege of driving that car on behalf of my father until a certain age! Why? Because for whatever reason…I had not yet stepped up to the plate of responsibility. So even though the car was available to me, I needed to be responsible enough to go to driving school…I needed to be responsible enough to pay attention enough to pass my driving test…it is now on the basis of my demonstration of this responsibility that my father now released me into using the car to drop of my younger ones at school and picking them from school…on His behalf! This is what leaders are in the kingdom of God. Leaders are those who have stepped up to take responsibility to develop the different attributes that allow God to release them into the inheritance that belongs to them by the grace of God! The apostle Paul said in 1 Corinthians 4:1-2 that we are stewards of mysteries of God, and it is required that those who are steward to be found faithful…In other words we are called by the grace of God, but within the confines of His grace there is a requirement for me to be faithful as a steward of the promise by grace! Leadership is about being responsible stewards of the things that God has given us by His grace. Everything God has promised you…everything you are believing for is by the grace of God. There is a requirement for us to develop attributes that make us responsible sons who administrate all that God has given us by His Grace.